Fuel Injection means the supply of fuel in the combustion chamber of an internal combustion engine. The injection of fuel is done by a part named Injector. In a petrol engine, fuel injection is carried out by a carburettor. Carburettor relies on suction created by intake air accelerated through a venturi tube to draw the fuel into the mainstream. There is various fuel injection system used in automobile engineering. Here you find all of them. This is an old method which is obsolete nowadays. In this method, Air is compressed at very high pressure by means of an Air Compressor. 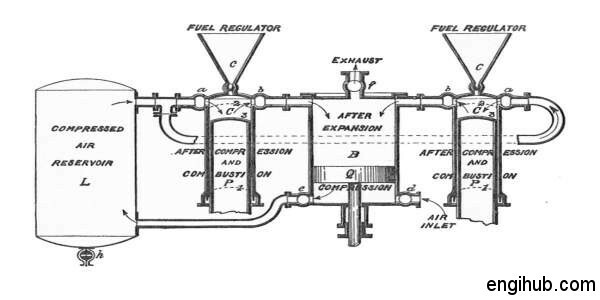 A blast of this Air is then injected carrying the Fuel along with it into the Cylinder. Due to varying Pressure of Injection Air the rate at which the fuel is admitted can be effectively controlled. The combustion takes place nearly at Constant Pressure. Due to High-Pressure, Air Compressor weight increase and a net output of Engine is decreasing. This is an Airless Injection System. Hence the fuel under Pressure is directly injected into the combustion chamber at Atomized State. This is useful for small and also for big Diesel Engines. It requires a Pump to deliver the fuel at High Pressure. This Fuel Injection System further divided into two systems. In this system, each cylinder has its own individual high-pressure pump and a metering unit also. This is a quite compact system. It has a higher manufacturing cost due to close tolerance are required at production. The Fuel is pumped by a Multi-Cylinder Pump into a common rail, the pressure in which is controlled by a Relief Valve.